July in St-Valery 2015 | J.Harms. July in St-Valery. 2015. J.Harms. 29x39cm. Acrylic on paper. Sometimes I rediscover old snapshots from years past in my small camera. 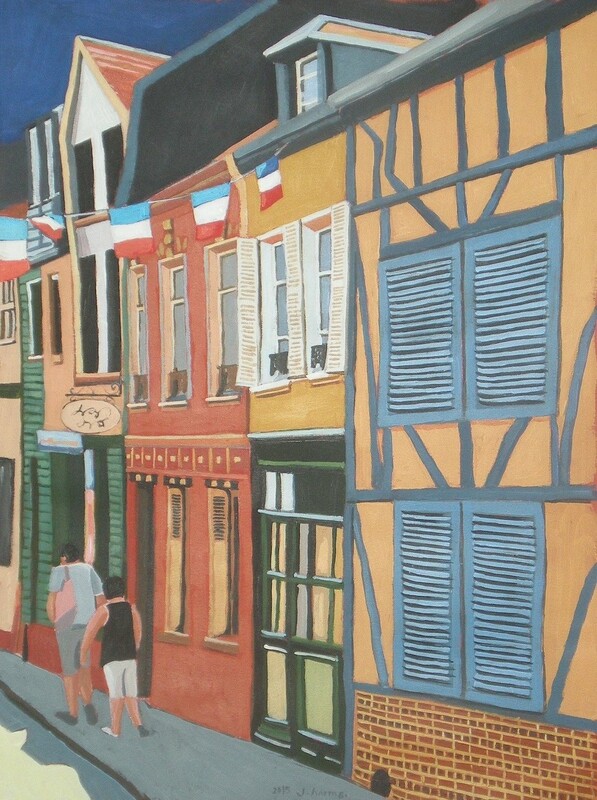 I came across this view of a street in St-Valery- sur-Somme. One of many that, for some reason, have not made their way on the paper… until now.